Seventeen-year old Sarah's life is turned upside down when her single mom is sent to jail. She's forced to move, leaving behind everything she's ever known, including her best friend Sydney. Lost and bitter in a new school, her one goal is to save money and move back home. Then she meets Angel Moreno. Enigmatic but gorgeous, Angel is almost too good to be true. Except for one thing, his archaic belief that guys and girls can never be "just friends". The problem? Sarah's best friend Sydney is not a girl. With their unexpected romance intensifying to places neither ever experienced, how long can Sarah keep Angel in the dark about the guy waiting for her back home? 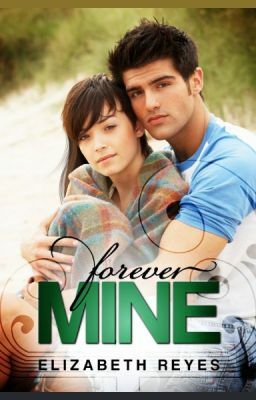 This is an EXTENDED sample of FOREVER MINE available EXCLUSIVELY on Wattpad. Like ALL my other stories this one is available in it's entirety on most online retailers! You can read Noah the first in my 5th Street series in it's ENTIRETY for a limited time here on Wattpad! https://www.wattpad.com/myworks/68232500-noah-5th-street-series Content Warning: The story you are about to read is intended for mature readers due to its sexual content and language. It may not be appropriate for all audiences. Please read at your own discretion.